Although not signed, this well painted silhouette can be firmly attributed to the hand of John Church Dempsey, best known for his colourful portraits of street characters but also a prolific silhouettist. Born in Bath in 1802/3, Dempsey began his career as an itinerant artist travelling as far north as Sunderland and across to the east coast. 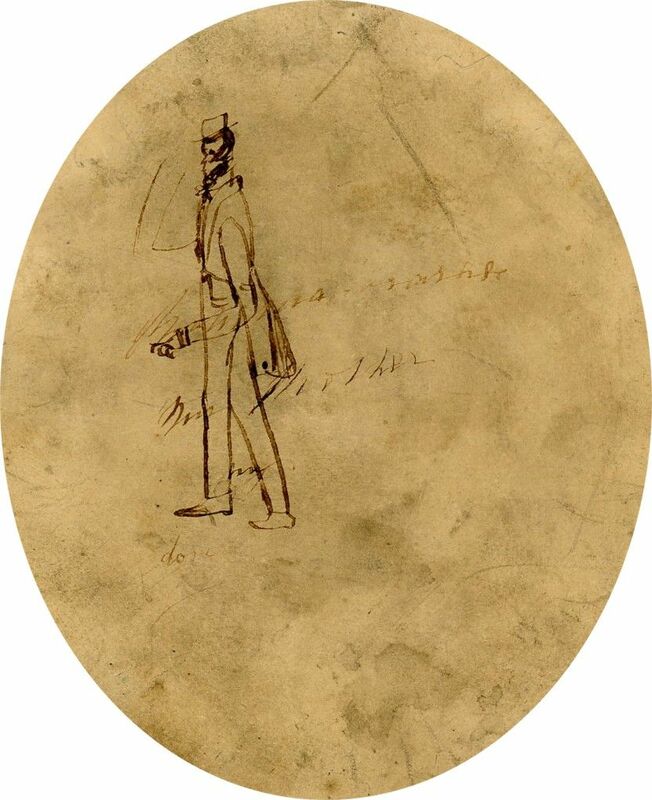 He was a talented artist with an eye for detail and the ability to capture the often whimsical character of his sitters. During the 1840s Dempsey gave up life on the road and settled in Bristol where he advertised himself as a picture dealer, stationer, artist’s colourman and, incongruously, a dealer in lamps and chandeliers. Sadly these ventures were doomed as in 1845 he was declared bankrupt. He died in 1877 at the age of 74 or 75. 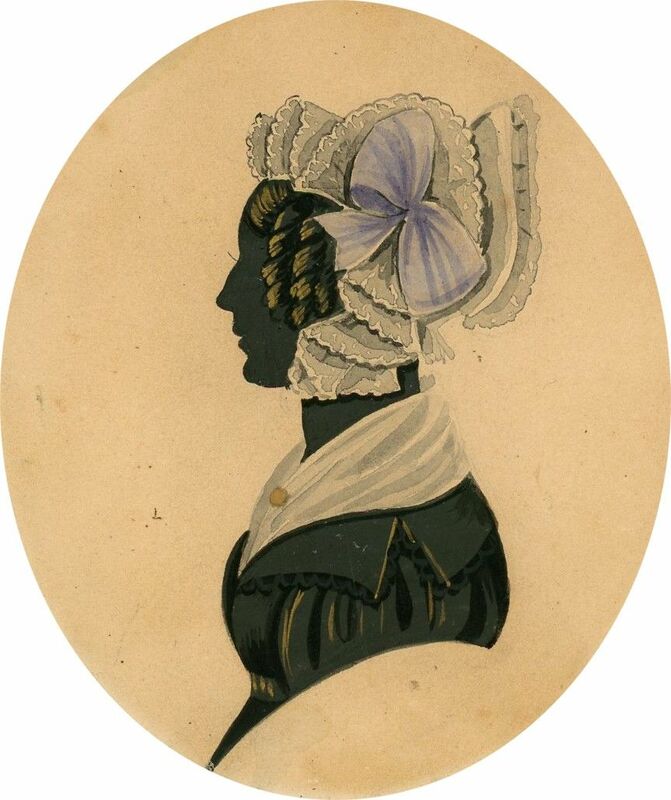 This example of Dempsey’s work dates to the early 1830s and shows a young lady in a dress with fashionably wide sleeves, a gold brooch on her handkerchief fill-in. 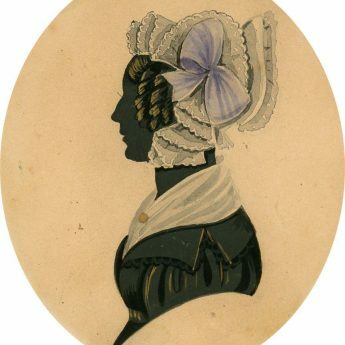 Her curled hair is topped with a rather frothy Babet cap trimmed with a blue ribbon bow, blue cap ribbons being a recognised trait of Dempsey’s work. 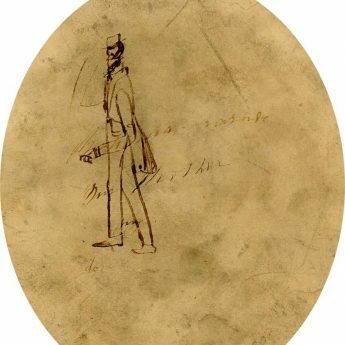 The reverse of the silhouette is indistinctly annotated and has a wonderfully quirky pen and ink sketch of a gentleman in a top hat and tails. 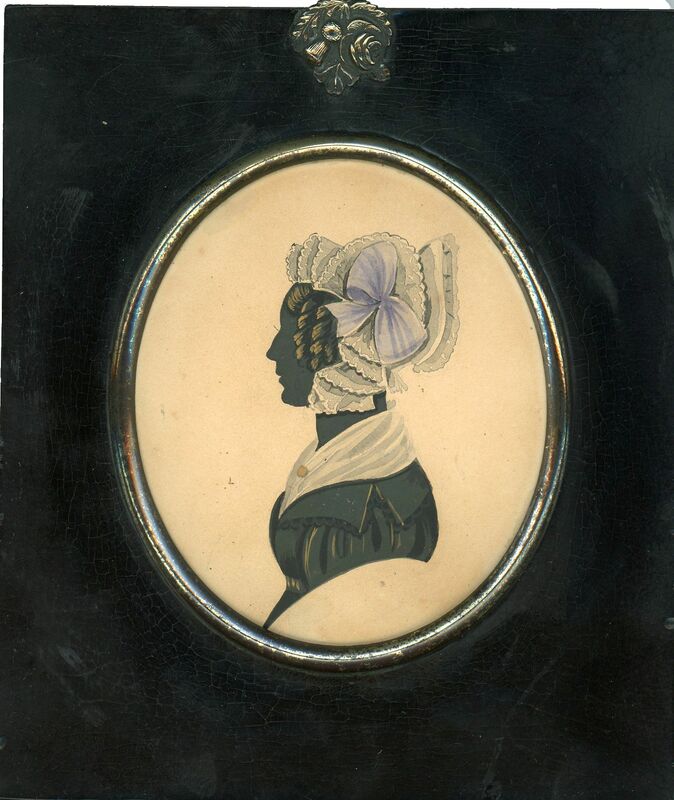 The silhouette is housed in a traditional papier-mâché frame with an emblems (rose, thistle and shamrock) hanger.